Impact NW’s 2017 Power of One Luncheon at The Sentinel Hotel. Innovative project providing short & long-term relief for the homeless to be highlighted at event. A new, creative partnership between Impact NW, a Portland-area nonprofit, and local tech companies provides innovative supports for those who are homeless in our community. The partnership, launched in late 2017, will be highlighted at Impact NW’s Power of One Luncheon, presented by Bank of America, on February 28, 2018. With the support and advocacy of the Technology Association of Oregon (TAO), leaders from tech companies such as AWS Elemental, Cozy, Metal Toad, and Perka came together to support the immediate and long-term needs of individuals facing homelessness. 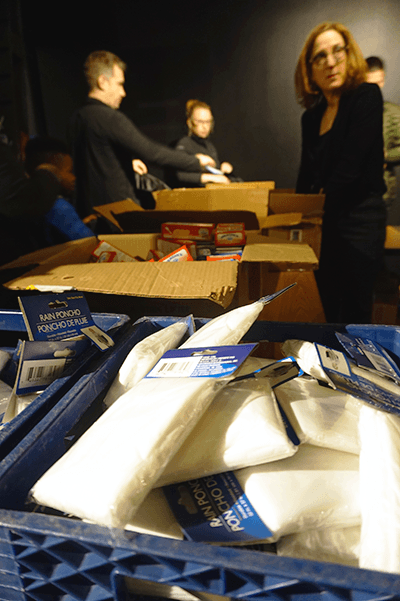 The team leveraged assets and expertise to create basic resource kits containing hygiene supplies, food, and other critical items. Additionally, the team provided funding to support Impact NW’s work creating long-term solutions to eliminate barriers to permanent housing. 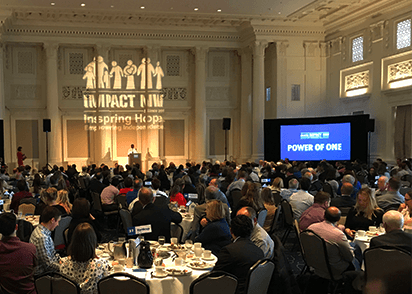 “This partnership allows us to share our firsthand knowledge of what people in crisis need to succeed with local businesses who have the resources and drive to make a difference,” said Andy Nelson, Acting Executive Director at Impact NW. “Working with TAO allowed us to tap into the creativity and dedication of the tech sector and form a powerful committee of business leaders who are actively stepping up to help solve a huge problem. We’re excited to announce that we’ll be honoring the Impact Kit committee’s volunteer service at our upcoming Power of One Luncheon,” said Nelson. The Power of One Luncheon, presented by Bank of America, is an inspiring one-hour event where local businesses, civic leaders, and community members come together to create a powerful change. This year’s luncheon will be held on February 28, 2018, 12:00 PM at The Sentinel Hotel.